This is a guest post provided by Digital Exits. A blog can be a great way to earn a living while leading a flexible lifestyle. 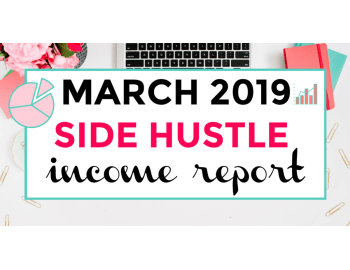 If you manage to build a solid following and have the right approach, you can generate a nice side income to complement your other gigs, or you can even turn it into your full-time job. Ten years ago, when there were far less blogs, turning them into an income stream was a little less difficult. If you had the traffic, you could either sell advertising space or specific products and expect a decent return. But things are a lot different now. Competition is much fiercer, and there are tons of bloggers hoping to live this life, and they are often willing to undercut others for their success, making it much more challenging. Yet it isn’t impossible. You just need to be a little creative. One of the ways you can have success is by building websites to sell them. 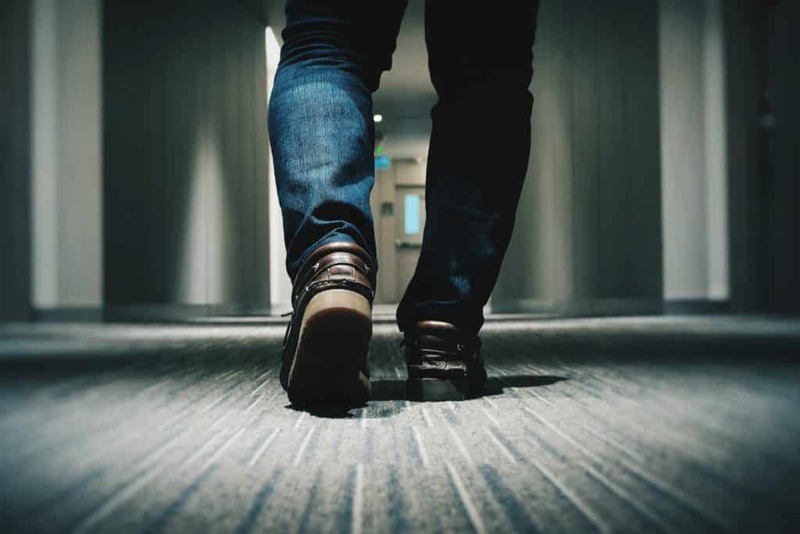 The industry term for this practice is “website flipping,” and it follows the same principles as real estate flipping: buy something cheap and fix it up; then, sell it for a profit. So, how do you build a blog with the goal of selling it? To do this, you need to have a plan in place, and the earlier you implement it, the better chance you will have to sell the blog for a good price. 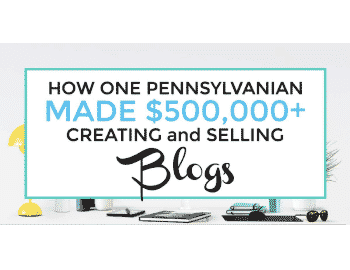 So, as you build your blog, you’ll need to keep the following things in mind to help make this a successful venture that actually earns you some money. Search engine optimization (SEO) is king and queen in today’s blogging world. For those who don’t know, this is the practice of designing your site and its content so that your pages appear at the top of search engine results pages. The idea is that when someone searches for the “Best sites to book a flight,” you want your page of affiliate links to appear near or at the top so that you can drive traffic to your site and then make money off of it. When you eventually go to sell your site, this will be a major factor in determining its value. The core features of SEO are backlinks (the links from other sites pointing to yours) and content. If you can build up a solid number of backlinks from quality sites, future investors will consider this a major asset, as they can use this to help rank for additional keywords to grow your businesses. The other thing to pay attention to is keyword competitiveness. Terms such as “best smartphone” are super competitive, and if you are trying to rank for them, you’re in for a rude awakening. The different tools out there people use to do keyword research, such as KWFinder, will help you determine which keywords are easier to rank for. So, as you build your site, try to go after these keywords so that you can build up your authority and be able to go after some of the higher-value keywords in your niche. There are lots of tricks that go into creating a site that does well with SEO, and the more you know, the better your site will look when you do decide to sell it. Running a blog can be a very time-consuming process. Between planning and creating content, coordinating social media and managing income and expenses, things can get out of control quickly. When it is just you running the blog, you can get away with doing it all on the fly, even though this is not be ideal, However, when your plan is to sell the blog, this can’t happen. You need to have processes in place to make sure everything gets done quickly and efficiently, and that it can get done without you. After all, when you sell the blog, someone else will be running it. Don’t expect them to be able to figure out all the things you’ve worked out just for you! You’ll also want to have some sort of strategy for predicting and avoiding risks. When people buy a blog or online business, they expect it to remain profitable for the years to come. Take some time to identify where you might be vulnerable. Is there declining interest in a certain topic? Do you expect people to get their information in a different way? And how would you deal with these developments? Being able to show you’ve thought these things through is a major boost to your blog’s value and is a great sign for future investors. Don’t expect people wanting to buy your site to just take your word on how well the blog is doing. People are trusting, but not that much. Even before you start making money with the blog, keep track of your expenses and investments. Then, of course, when you start to generate revenues, make sure these are accounted for as well. You want to be able to show people they are entering a sound venture, and nothing speaks more strongly than cold hard numbers. Lastly, if you’re building your blog to sell it, you’ll want to have a plan in place to make sure you get the best deal. Otherwise, you may be tempted the first time someone comes along and makes you an offer, causing you to sell for far less than what the blog is actually worth. Probably the best thing you can do is to set a revenue target, and then when the blog reaches that point, hire a business broker to help you sell. You may think of it as ‘just a blog’ but it’s 100% a business. They will use their network to help find you a buyer willing to pay the highest price. Selling on your own often leads to a less-than-desirable sale price. It can be done and you’ll save fees but you won’t have anyone to guide you through the process or do the negotiation for you. 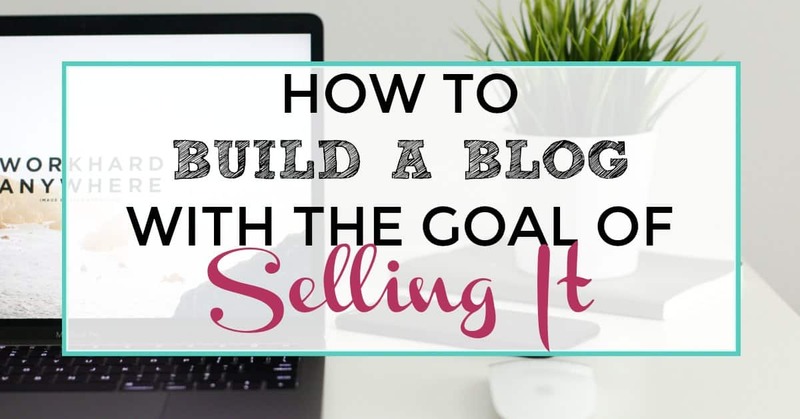 The idea of building a blog just to sell is somewhat new to a lot of people, but it can be a great way to boost your income without having to invest a ton of money. As long as you go in with a plan in place and are clear about what you want, you should be able to build up a blog with some real value that can earn you a nice payday down the road. About the Author: Jock is an entrepreneur who has made a career doing business online. He has built and sold several blogs and has worked as a consultant in digital marketing. Now, he works to help others take advantage of the income streams available on the internet. You can reach him at Digital Exits. Want to try flipping blogs? Check out my guide to Start a blog with Bluehost! If you sign up for Bluehost with my link you get a free domain, free site builders, free 1-click WordPress install, 24/7 support and all for only $2.95 a month! 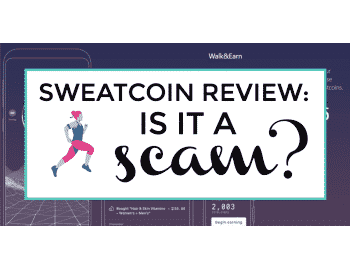 Sweatcoin Review: Is It a Scam or a Legit Way to Get Paid to Walk?